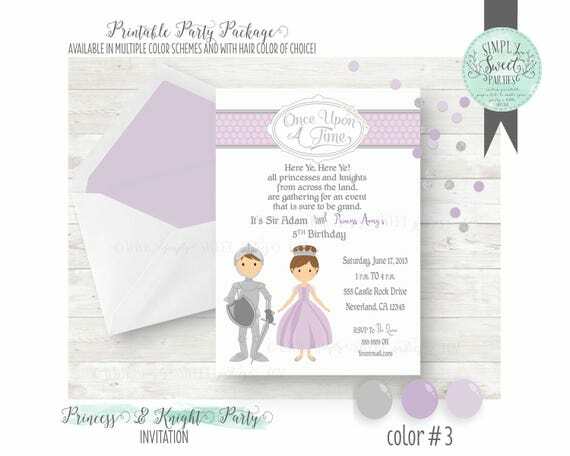 This listing is for a PRINCESS AND KNIGHT THEMED PRINTABLE INVITATION. The invitation is sized 5" by 7" It will be sent as a JPEG file and a 2 to a page PDF file. The invitation includes options for multiple color schemes, and hair color to match each child. Can be personalized for 1 or 2 children. PRINT AS MANY AS YOU NEED, NO PHYSICAL ITEMS WILL BE SHIPPED. ONLY NEED SOME OF THE FILES? ♥ If you need a question answered please check the shipping/policies section first -most questions have been outlined there. Want more party ideas and DIY projects? © Simply Sweet Parties. All rights reserved. Add on a PRINTABLE DIY buffet labels to any collection. Add on. Party Signs. Candy Buffet, signature drinks, guest book, favors, games. Any text added to sign found in our shop. Mermaid and Pirate Birthday Party printable file for 5x7 invitation. Jpeg/PDF file. Multiple color schemes, and hair color of choice.